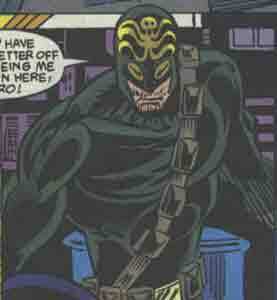 Powers/Abilities: Alan Desmond was capable of concealing his identity and carrying out subversive acts beneath the very nose of Baron Strucker. (Namor Annual#4 (fb) - BTS) - Alan Desmond was the son of Sir Philip Desmond, a scientist who created the Project: Blue-Face toxin. When HYDRA murdered him to obtain the chemical, Alan killed HYDRA's Agent 13 and assumed his identity so that he could infiltrate their organization and attempt to bring them down from within. (Namor Annual#4) - "Agent 13" accompanied Baron Strucker and his trusted agent the High-Zero aboard an underwater HYDRA vessel as they prepared to receive the formula to Project: Blue-Face from a HYDRA facility. However, the HYDRA base was destroyed by a Leviathan (offspring of Marrina and Namor) before they could transmit the information, and they had to travel to the site of its destruction to retrieve the information. At the site of the Leviathan, they were attacked by smaller creatures created as parasites to defend it, and by the Sub-Mariner. When the High-Zero advised Strucker to flee before they were destroyed, "Agent 13" called him a coward. When Namor found the canister they were seeking and presented it to them, telling them to leave, they decided to implement Project: Blue-Face and begin distributing the toxin. As the High-Zero patrolled the ship's corridors, he saw "Agent 13" enter the room where the toxin canister was held. He confronted "Agent 13," who declared that he was taking the toxin and leaving the ship. 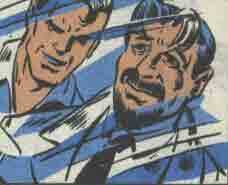 The High-Zero attacked him and tried to strangle him, but "Agent 13" took the High-Zero's gun and shot him to death. Desmond then assumed the High-Zero's identity. As Strucker was about to distribute the toxin to an underwater civilization, he told the "High-Zero" to activate it, but instead, the "High-Zero" smashed the control and unmasked himself as Alan Desmond. As the Sub-Mariner began to assault the vessel, Strucker set it to self-destruct and abandoned ship, murdering all of his men and Alan Desmond. Sir Philip Desmond was the inventor of the Project: Blue-Face toxin which could prevent gill-breathing creatures from extracting oxygen from their environment. HYDRA had him killed so that they could claim the formula for themselves. Sir Philip's son Alan infiltrated HYDRA in order to have his revenge for his father's death. Agent 13 was a trusted agent of HYDRA who came to Baron Strucker without purpose or meaning, and was indoctrinated until he forgot who he had been before. 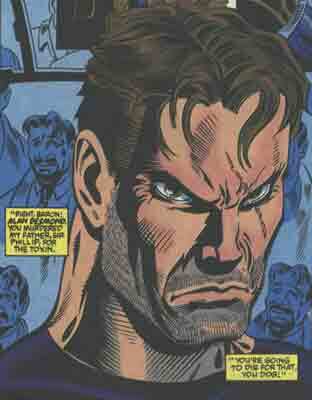 Alan Desmond killed him and took his place in HYDRA in order to obtain revenge for his father's death.